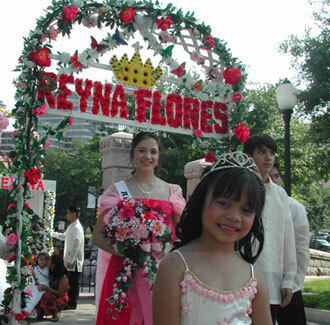 Batangas was transformed once again into a colorful surrounding as SM City Lipa celebrated Flores de Mayo last May 31. The teen models and flower girls paraded at SM City Lipa wearing gowns created by Mikaelah Michelle of Mikaelah Michelle, Maricel Hernandez – Borbon of Janine and Ycel Touch of Fashions, and Janet Bancoro of Renquist Gowns and Costumes. Also joining the flower girls are SM Little Stars 2011 First Runner Up Kate Gellian Vinas and SM Little Stars Grand Winner Aliah Franzin Navarro. Summer at SM City Lipa was amazing having the finest creations of Lipeño designers who joined this year’s Flores de Mayo celebration that started 4 o’clock in the afternoon which concluded at The Event Center.